The dream of the 1990s was a paperless office, a digital wonderland where no one would ever have to change a toner cartridge again. That, um, didn't work out - for the love of Pete, some of you still have fax machines. 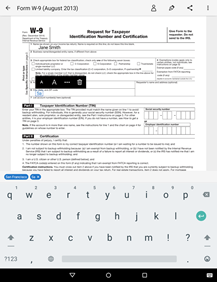 For all those annoying times when the old dead tree world intersects with your online life, Adobe has created Fill & Sign, an app that lets you easily digitize and automatically fill in paperwork. 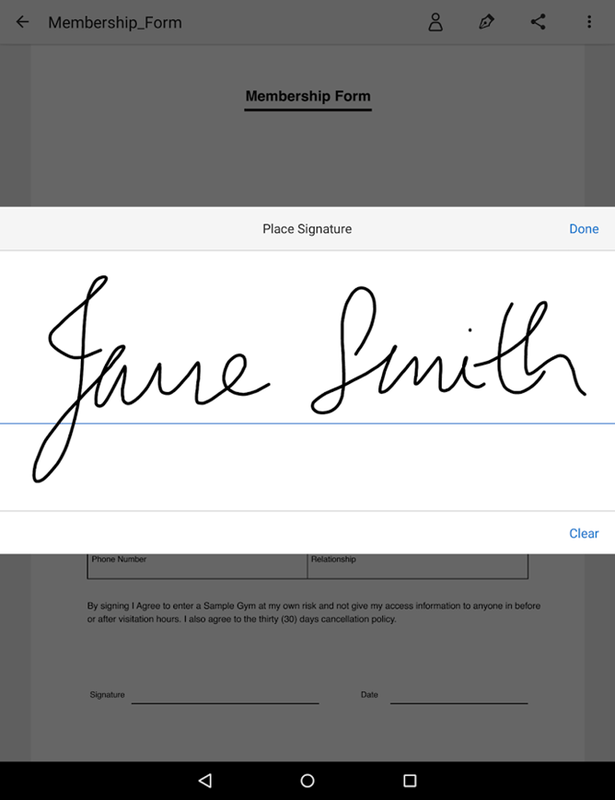 Yes, you can even put your signature in there. This sort of thing has been done before: point your phone's camera at a form, snap a photo, and the app will automatically crop, re-orient, and clean up the page for digital formatting. 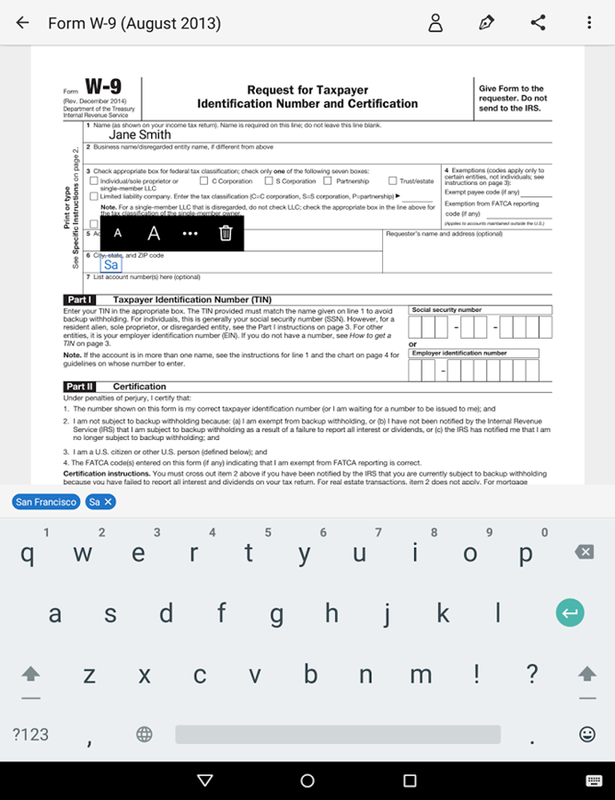 You can then tap on the appropriate portions of the paper to manually type in the corresponding information, or use Fill & Sign's profile feature to do it automatically for most of the basic info fields. 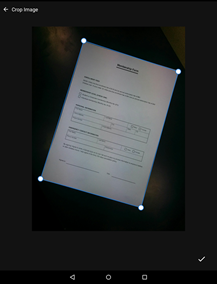 It supports checkmarks for those portions that only require a mark. 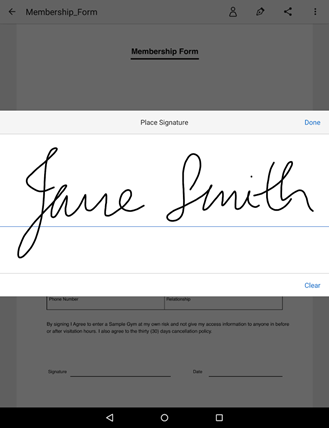 At the end, "sign" your name with a finger (which isn't going to look great - just ask a Square merchant) or a stylus and your signature will be applied to the appropriate field. 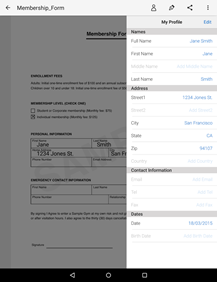 Fill & Sign can save forms locally on your phone, store them in the cloud, or attach them to an email. 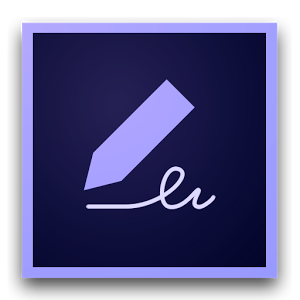 Unfortunately the app seems to have the usual Adobe teething trouble on Android - it's crashing at launch on my Nexus 6. 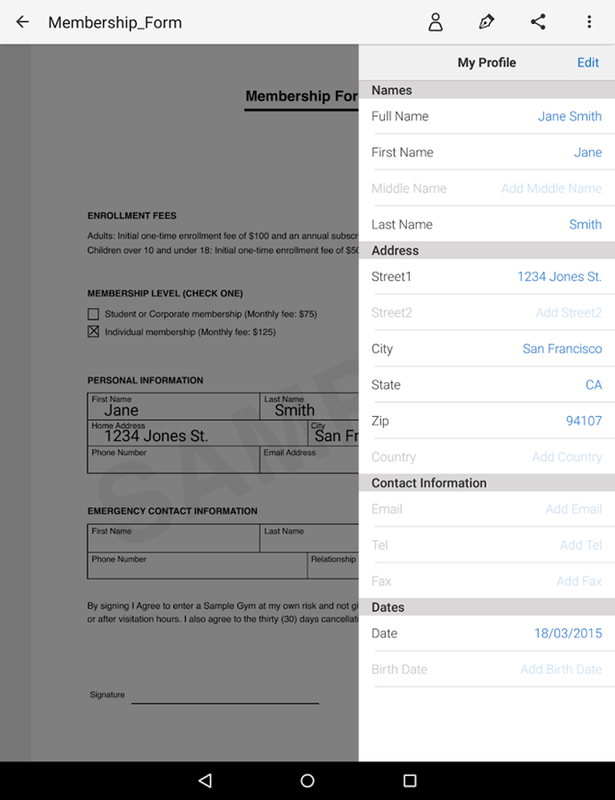 Adobe Fill & Sign: Easy PDF Doc & Form Filler.